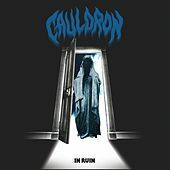 Cauldron put out their first album in 2009 -- appropriately, since only a year before the movie Anvil: The Story of Anvil had chronicled a different Toronto metal band, and Cauldron's music harks back to the same early '80s, proto-thrash era from which Anvil emerged. That is, a time when bands were allowed to be really heavy, really fast and really catchy all at once; a time when Slayer hadn't showed up yet so metal bands didn't feel the need to sound ugly; a time when Spinal Tap hadn't showed up yet so you could never really tell if metal bands were in on the joke. 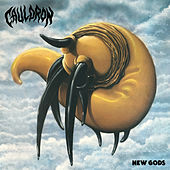 Cauldron's debut, Chained to the Nite, had an absurdly sexist cover where a naked woman was chained like a howling wild beast, with the guys in the band (bassist/vocalist Jason Decay, guitarist Ian Chains, drummer Steelrider) holding the reins -- the kind of cover you hadn't seen since, say, 1983. The single, "Chained Up in Chains," had one of metal's most redundant titles ever. On Cauldron's even less resistible 2011 follow-up, Burning Fortune, Chris Steve from the band Aggressor took over the drum stool. The cover features a witchy woman emerging from a car on fire, with extremely long fingernails.